From Realme U1, Honor 10 Lite to Vivo Y95, these are the best smartphones for those looking at great selfie camera experience in the sub-Rs 15,000 price segment. Before buying a new smartphone, we often obsess about design, performance, battery life and cameras. While the rear camera is one of the most talked about features, the selfie camera is an equally important element of a smartphone. There are moments when you cannot find someone to click a picture of you and your family and at those times, a good selfie camera can really come in handy. In the past year alone, smartphone makers have added updated sensors to offer enhanced selfie experience. If you are in the market for a new smartphone with great selfie camera within a budget of Rs 15,000 then these five should be among your top choices. Realme U1 is arguably the best smartphone in the sub-Rs 15,000 price segment but it was introduced late last year as a selfie-centric smartphone. The smartphone features a 25-megapixel front camera housed inside its waterdrop notch. The sensor has an aperture of f/2.0 and 0.9 micron pixel size. While it may not be wide, we observed that it captures good amount of detail and also works well in low-light, making it a good choice for selfie-centric customers out there. 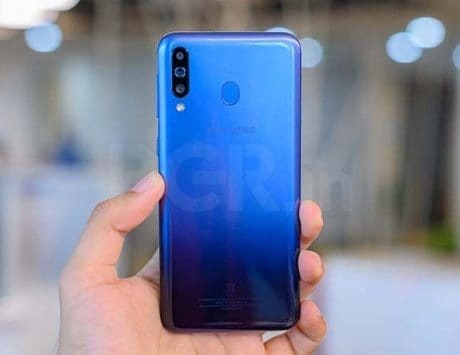 Otherwise, the Realme U1 has a 6.3-inch display, MediaTek Helio P70 SoC, 3GB or 4GB of RAM, 32GB or 64GB storage, 13-megapixel + 2-megapixel dual rear camera and 3,500mAh battery. 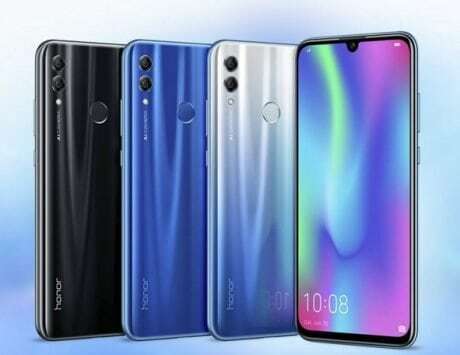 Honor, as a smartphone brand, is known for its imaging prowess, which borrows directly from Huawei. The Honor 10 Lite, which was launched recently in India, is a device aimed at selfie-centric smartphone buyers. It features a 24-megapixel camera with 26mm wide focal length, 0.9 micron pixel size and f/2.0 aperture. It also supports HDR mode and 1080p video recording at 30 frames per second. The Honor 10 Lite also has a 6.21-inch display and is powered by Huawei’s mid-range Kirin 710 chipset. There is 3GB RAM variant with 32GB storage and 4GB or 6GB RAM variants with 64GB storage. It has dual rear camera setup with 13-megapixel and 2-megapixel sensors, runs EMUI 9 based on Android Pie and is backed by a 3,400mAh battery. For Xiaomi, the Redmi Y-series marks selfie-centric device but until the launch of Redmi Y3, the Redmi Note 6 Pro with dual front cameras is a great choice in this price segment. The Redmi Note 6 Pro features dual 20-megapixel + 2-megapixel selfie camera setup where the main sensor has f/2.0 aperture but the secondary sensor acts as depth sensor. This allows for selfies with shallow depth of field and nice bokeh effect. It also sports a 6.26-inch notched display, Qualcomm Snapdragon 636 SoC, 4GB or 6GB of RAM and 64GB storage. For photography, there is 12-megapixel + 5-megapixel dual rear camera setup. The smartphone runs Android Oreo and packs a 4,000mAh battery. The Galaxy M30 has emerged as the most promising mid-range smartphones from Samsung in a really long time. It comes with metal unibody design and triple rear camera setup but its 16-megapixel selfie camera remains underrated. The selfie camera has f/2.0 aperture, supports HDR and 1080p video recording as well. Samsung also offers better software for processing which tends to less beautification for natural images. The Galaxy M30 offers 13-megapixel + 5-megapixel + 5-megapixel triple camera setup on the back. At the front, there is a 6.4-inch Full HD+ AMOLED display with waterdrop notch. Under the hood, there is Exynos 7904 SoC with 4GB or 6GB of RAM and 64GB or 128GB storage. The Galaxy M30 starts at Rs 14,990 and is backed by a 5,000mAh battery. Vivo Y95, also known as Vivo U1 in China, is a selfie-centric smartphone with 20-megapixel front camera. It features a 6.22-inch display, 4GB RAM, 64GB storage and Snapdragon 439 chipset. It also features dual rear camera setup with 13-megapixel and 2-megapixel sensors. It runs Android Oreo and is backed by a 4,030mAh battery.